Discussion in 'GPS Tracks - Central, Texas & Gulf States' started by Cannonshot, Jul 5, 2012. 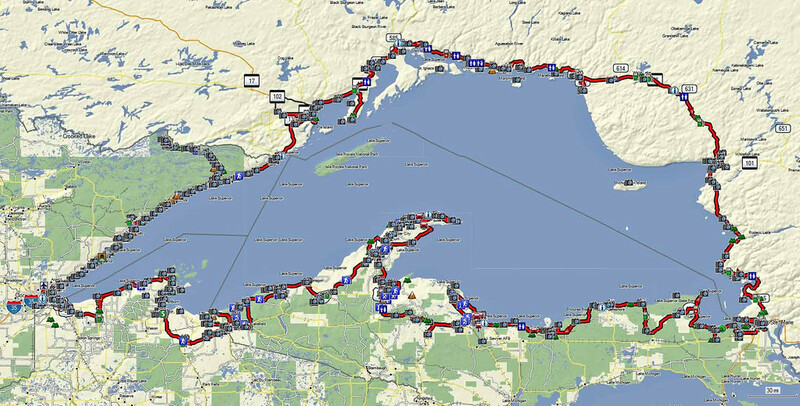 This GPX covers a very comprehensive exploration of the Lake Superior loop. It supercedes anything I published on Lake Superior in the past. The GPX can be downloaded below. A comprehensive ride report that is a companion to the GPX file with a lot of history and images can be found here. The information in these references is useful for trips in the UP, along the north shore of MN, and in northern WI apart from considering an entire loop of Lake Superior. Can upload GPX again so here it is. Downloaded 1268 times from a prior personal site.